This article is based on a project called “TV Designer”. In this project I have designed a Television. This project is a VC++ application, which displays a Television in three different sizes (small,medium,Large).Input is received through a dialogue box. This project will also show you how to develop a basic VC++ application and it upgrades VC++ 6.0 project to Visual Studio 2005 project. This article assumes that you have some basic knowledge in C++ concepts including class, function, member variable, constructor etc. 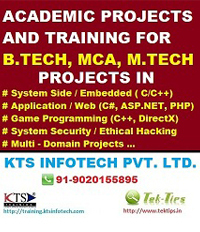 The basic steps which I used in the development of the VC++ program are given below. 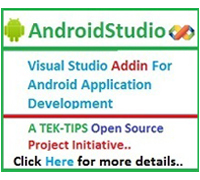 You can open the project both in Visual Studio 6.0 and Visual Studio 2005. Open the project folder and explore “.dsw” extension file. Click “Build All” button to compile the project and then click the “Execute” button to display the output. 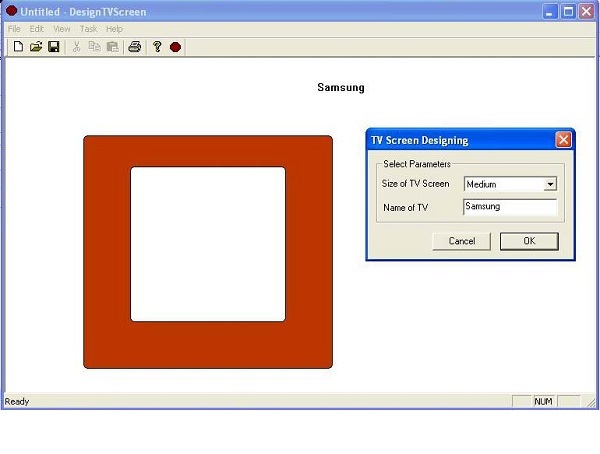 You can view and edit the project as the main source code is given in ‘Design TV ScreenView and TV ScreenDlg’ classes. 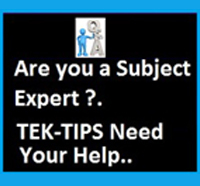 Open the project folder and explore “.sln” extension file. Click “Build Project” button from “Build” Menu to compile the project and then click “Start Debugging” button from “Debug” Menu to display the output. 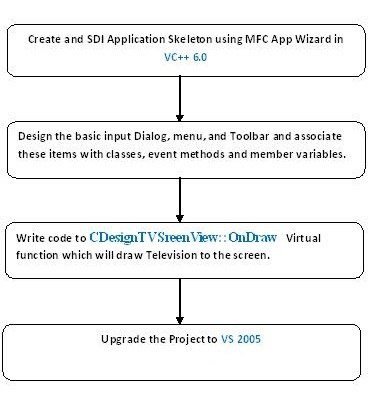 Some of the used features and classes of VC++ in this project are: MFC App Wizard, Single Document Interface, SDI Application, CWinApp, CView, CDocument, CFrameWnd, CString, CDC, CDialog, CComboBox, Visual Studio 6.0, Visual Studio 2005. Please download the source code and the associated project binaries form the below link and try experimenting with the source code and binaries.